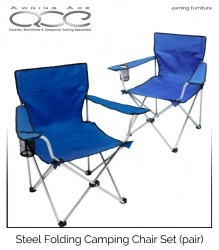 These Quest Elite® Deluxe Suffolk Camping Chair in Blue (Twin Pack). 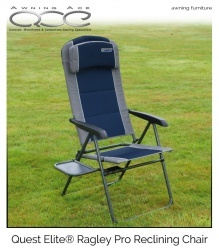 Made from very high-quality Quest 600D fabric with superb padding the Quest Suffolk offers you a deluxe camping chair. 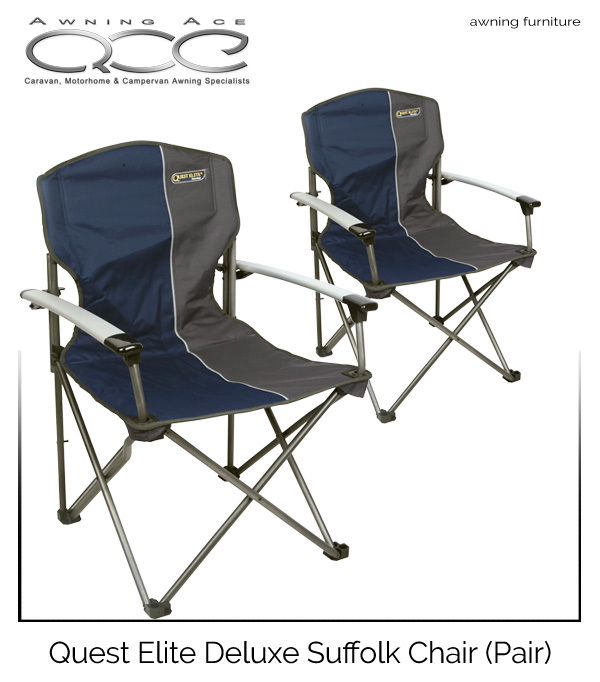 Constructed using a durable steel frame, this robust and very strong chair brings a new level of comfort to your caravan or camping holiday. The powder coating on the frame adds a touch of style and also improved weather protection. The Quest Suffolk camping chair features weatherproof solid aluminium arms providing a comfortable sitting position. The Quest Suffolk Chair is strengthened by double and triple sewn seams with rot-proof thread. There is an additional webbing seat support helping the chair keep its shape for longer and adding extra strength throughout. All the main stress points have added reinforcement to ensure they do not rip and the chair features added rubber strengthening around the front stress points giving it a maximum load of 120kg. When stored the Quest Suffolk chair folds together quickly without any clips or clamps to adjust taking up very little room and easily fits its own storage bag keeping it clean a safe for your next travel adventure. 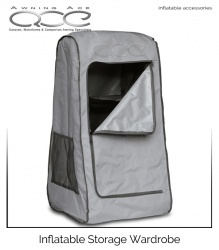 The Q600 fabric is a premium quality heavyweight fabric that is extremely durable and has great U.V. resistance. It is a 600D weight material which ensures it has great strength and durability helping the fabric last for years. The fabric has an advanced manufacturing process which helps ensure the thread is woven in an extremely tight fashion making it stronger than most comparable camping chairs. The fabric is double layered giving it a thick almost quilted feel to it. This makes the fabric both comfortable to touch but also gives added strength. 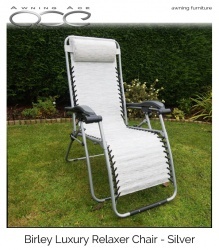 These extremely stylish Silver Reclining Relaxers look modern and provide style at an affordable price. The Birley Relaxer features a heavy-duty Textilene material that offers excellent durability and support. 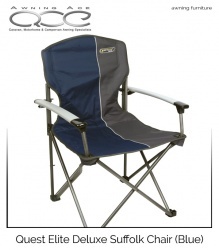 Equipped with moulded durable armrests and a luxuriously padded head rest, they allow you to take the weight away for a good sit down in the garden, at the beach, at the park, dog shows, outdoor events or even at the campsite. The Quest Elite® Ragley Pro is the new and updated version of the best selling Ragley range. 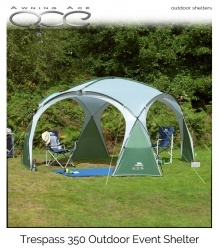 It has been improved on by the inclusion of the all new Q-tex material and improved design. The brand new Q-tex material is weatherproof, amazingly soft, comfortable and breathable. Made from high-quality Quest 600D fabric with superb padding the Quest Suffolk brings a new level of comfort to your caravan or camping holiday. Constructed using a durable steel frame, this robust and very strong chair with an attractive powder coating adds a touch of style and also improved weather protection. Perfect for the beach, garden or camping. These chairs fold away into their own storage/carry bag supplied so you can take it with you and ensure a comfortable seat whatever your location. With the built-in drinks holder, you will be able to sit back and enjoy your favourite cold drink on a warm summers day.